Using water too hot can strip your skin off of natural oils. Avoid using too much soap or shower gels. 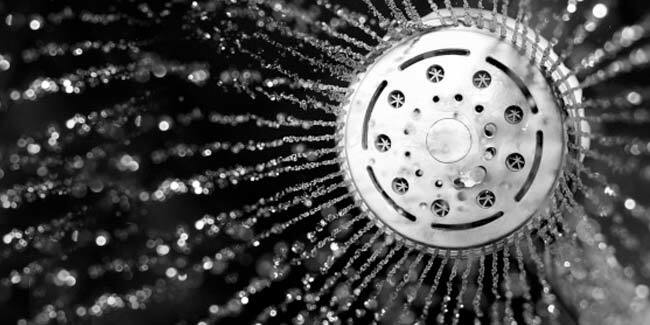 If you like showering twice a day, you may want to switch it to just one. That's because the top layer of the skin, which is comprised of hard and dead cells, is held by together by lipids that help maintain moisture, so when you scrub your skin while taking a shower, you are tearing this layer apart. So now the question that may pop in your head is, how does it ruin your skin? Well, the more showers you take, the more frequently this damage takes place and the less time your skin will have to repair itself through natural oil production. A long hot shower after a tiring day at work sounds like heaven, doesn’t it. Well, you might want to change your ways when you realise how damaging it can be for your hair and skin. Hot water damages the outer layer of your skin and hair and deprives it of all moisture, resulting in dry skin and frizzy and damaged hair. If you cannot do without your daily dose of hot shower, make sure you moisturize your skin well just after the shower. You might also want to switch to a warmer, or preferably colder temperature while washing and conditioning your hair. If you are one of those who like to lather it up, think again. By using excess soap or shower gels, what you are essentially doing is stripping your skin off of all the natural oils. If you use a lot of soap, you might end up with dry skin. Using too much of soap and shower gels also might aggravate any of the skin allergies or diseases you might have. After you shower, make sure that you do not rub yourself dry with the towel. Always use tapping motion to dry your skin if you do not want to damage it. Excessive rubbing damages the outer layer of your skin and hair. One other huge mistake that we make is wrapping up our hair in a towel. Wrapping your hair up can cause your hair strands to pull and stretch which might result in breakage and hair damage. Remove all the excess moisture by patting your hair dry, and let them dry naturally.